Anyone who has been a target of workplace bullying knows the pain that this type of harassment and humiliation causes. But once the bully has been dealt with, don't expect to feel fine afterward. 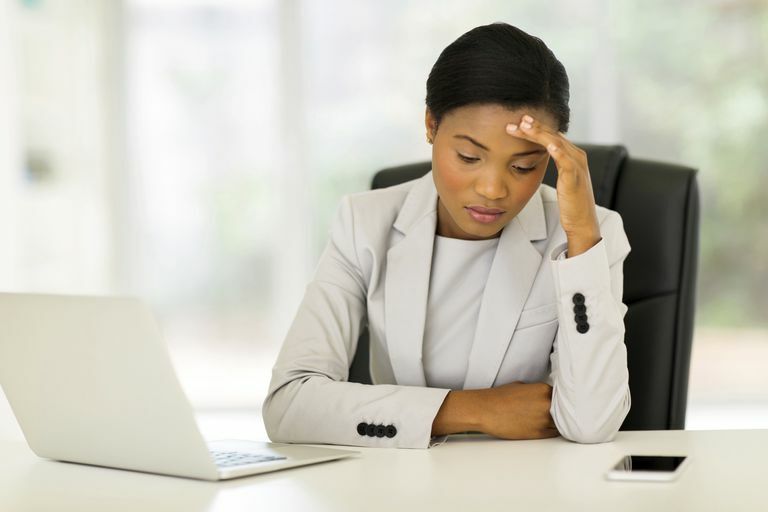 While you may experience a sense of relief, that you are no longer experiencing the daily stress of working with a bully, you also may have some residual effects from what you experienced. In fact, workplace bullying often has a lasting impact on your overall mental and physical health. As a result, there will be days when the road to recovery may be challenging. Something someone says may trigger those familiar feelings of anxiety. Or, you may worry every time you disagree with someone. These feelings are all normal. But with a little work and an extra effort in taking care of yourself, you will get your life back. What's more, you can take what happened to you in the workplace and learn from it. Use it to strengthen you as you move forward with your life and your career. The key is to not allow what happened to you define who you are as a person. Recognize that workplace bullies have a choice. You did not deserve to be bullied. Place the responsibility for the bullying on the shoulders of the bully and move on. Leave the hurtful words and the actions in the past. Here are the top five things you can do to recover from workplace bullying. Targets of workplace bullying deal with a host of health issues including sleeplessness, stomach issues, headaches, and stress conditions. They also may deal with post-traumatic stress disorder, panic attacks, eating disorders, depression, and thoughts of suicide. Talk to your doctor about any symptoms you are experiencing. It’s also a good idea to find a counselor. Remember, being targeted by a workplace bully does more than impact your mood or self-esteem. It also can impact your physical health. Do not delay in taking care of yourself. Ignoring your symptoms can lead to a host of other health issues. Getting healthy should be your top priority. When bullying takes place, the target is often accused of having a problem or being the problem. Constant criticism, rumors, lies, and gossip can take its toll leaving you feeling lonely, isolated and hopeless. But remember you are not alone. In fact, workplace bullying is a widespread issue that affects workers every day. Consider finding a support group in your area or starting one of your own. Find validation for what you have experienced and recognize that there is nothing wrong with you. It will take work to build up your self-esteem and overall confidence again, but it can be done. If you are confused by what has happened to you, read everything you can about workplace bullying. While it can be painful to read about the issue, in the long run, it will help you come to terms with what happened to you. What’s more, being educated about bullying will prepare you for future confrontations. Some targets of workplace bullying even become advocates or support group leaders for others suffering at the hands of a workplace bully. Many times, people who have been bullied develop a very narrow view of life because the bullying they experienced consumes their every thought. Think about things other than what you have gone through, things that have meaning or purpose in your life. There are numerous benefits to positive thinking. If you are having trouble doing this on your own, a counselor can help you redirect your thought processes. What’s more, avoid feeling guilty about how you confronted the bully or the length of time it took you to take action. These things are in the past. Leave them there. Part of the healing process is being able to put the past behind you and detach from the trauma you experienced. Sometimes finding this closure involves changing jobs or careers. But you also need to discover that your identity is tied to more than just your work. Rediscover who you are. Develop new interests, new hobbies, new goals, and new dreams. Do not allow yourself to be preoccupied with what happened to you. Instead, find a healthy way to shift your focus and put the past behind you. Remember, what happened to you was not fair, but it does not have to define who you are. Let go of any urge to engage in victim thinking. Yes, you were victimized but you are more than what happened to you. Take the time to rediscover who you truly are not who the bully claimed you were. You also should avoid blaming yourself for being bullied. It was not your fault. It was the bully's choice. And most importantly take care of yourself. By paying attention to what you need to feel healthy, you will be well on your way to healing from workplace bullying.